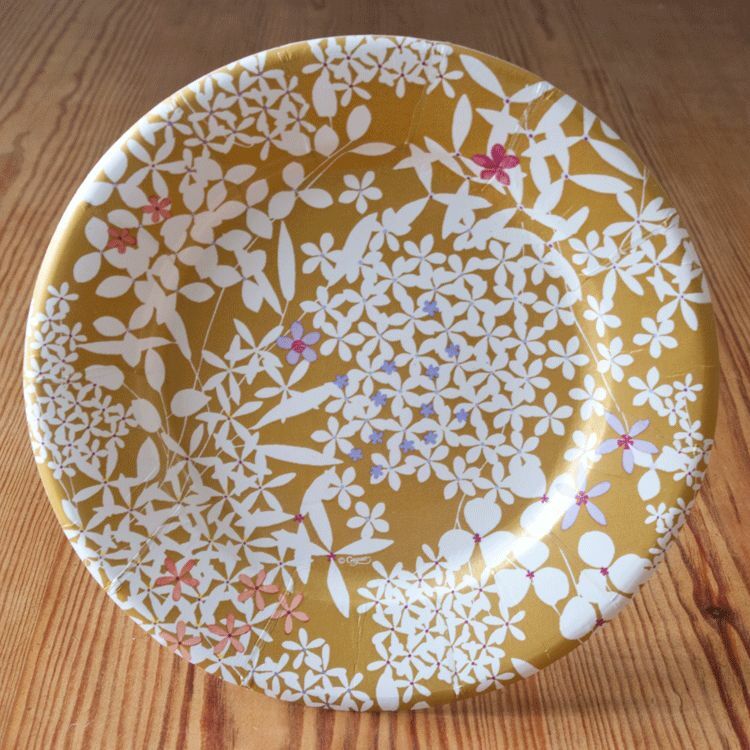 Pretty gold Floral Lace design side plates from Caspari. Each pack contains 8 high quality plastic coated paper plates. Each plate measures 20.3 cm diameter.